Haydon Building Corp (HBC) is one of the most highly recognized Civil Construction Companies in the Arizona Market and has rapidly expanded throughout the Southwest with an extreme new presence in the State of Texas. Haydon has designed, engineered and constructed some of the most coveted projects in the contracting business. Haydon Building Corp clearly are the experts in the world of construction however for the equipment fuel and lube requirements, they call upon the expert in that field; Mobile Force Refueling. Mobile Force has fueled, serviced and maintained Haydon’s large fleet of late model earthmoving equipment for the past 15 years. Mobile Force has provided their OEM Maintenance Oil Changes since its inception and has ensured their valuable assets are running at optimum utilization. Mobile Force continues to keep this entire fleet fueled and serviced no matter where they may be working and has contributed to the overwhelming success the HBC has earned. Through our fleet of first class fuel and lube trucks performing daily fuel and daily OEM services, we keep contractors focused on their core business while we ensure their most precious assets are always performing. 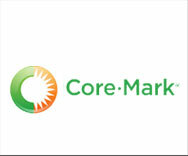 CoreMark Distribution is North American’s leading food distributor. CoreMark has offices throughout the United States and Canada. When CoreMark was seeking ways to cut cost from their expansive operations they contacted Mobile Force Refueling. Mobile Force Refueling effectively analyzed their operation and quickly indentified that “On-Site Fleet Fueling” would offer significant savings to this operation from their current fueling processes. Mobile Force Refueling operates an entirely automated fuel dispensing system incorporating bar-code technology which allows for 100% accuracy in the fueling process. We bar-coded CoreMark’s entire fleet and began provided our On-Site Fleet Fueling Service at their 400,000 square foot distribution center in Phoenix. Our system has automatic reporting that links directly with our clients providing them real time data allowing them to track every aspect of their fueling expense. Fleet Fueling eliminated all employee and truck time associated with conventional fueling which allowed for better production of their assets while increasing their profitability. Fleet Fueling clearly is the most cost effective method of fueling trucking fleet and we were certainly pleased to have provided CoreMark this solution. The Barrett-Jackson Auto Auction is an extremely popular 7-day Exotic Car Auction in Phoenix that draws in people from around the country, usually with crowds surpassing the 250,000 mark, making it the largest draw Premier Auto Auction in the country. When putting on a large event such as this one, it is pertinent that everything run smoothly. With so many car enthusiast and media outlets in attendance, something such as an electrical outage would cost The Barrett-Jackson hundreds of thousands of dollars. With so much at stake, this is not a chance that The Barrett-Jackson could afford to take, so they partnered with Mobile Force Refueling to ensure that the event was properly fueled and ran smoothly from start to finish. Mobile Force Refueling worked with the planning committee to discuss attendance numbers, size of the event site and the location of all the diesel powered equipment required to run the show to determine the right solution for this specific event. After much consideration, MFR mapped out a plan across the event site to ensure the entire site was successfully fueled. In addition to daily fueling schedule to ensure all equipment stays topped off, they also included GPS Tank Monitors on the fuel tanks, which are remotely monitored to ensure that they never run dry. This entire event is broadcast on National Television and every aspect of this show is powered by diesel powered generators including the stage and broadcast. This amount of planning and the precise execution allowed the 7-day event to run smoothly, without a single bump in the road. It’s this level of commitment and reliability that has kept The Barrett-Jackson coming back to Mobile Force Refueling year after year for their special event fueling needs.